Photo: The Kulakov Federal Center on Obstetrics, Gynecology and Perinatology in Moscow. The number of medical tourists to Russia is growing, thanks to the country’s relatively high-quality healthcare that has been made more affordable by the weak ruble. 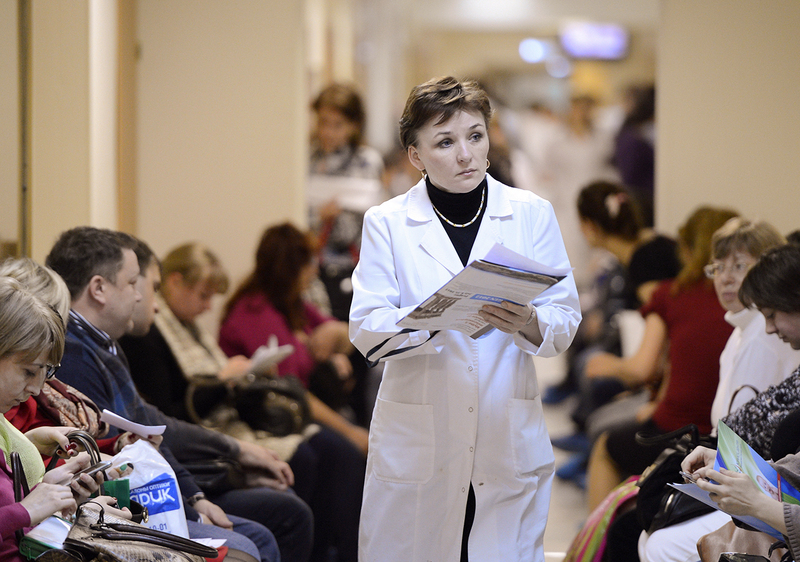 Foreigners are flocking to Russia for healthcare needs. According to Russia’s Association of Medical Tourism, in-vitro fertilization is now one of the most popular procedures among patients from abroad, especially because it’s about 2.5 times cheaper than in Europe or the U.S.
Another advantage that is attractive to the international consumer is Russia’s more flexible and liberal reproductive legislation. Many things that are outright forbidden elsewhere are readily available in Russia. Dentistry, however, is the most popular healthcare sector for foreigners traveling to Russia for medical reasons. About 44 percent of all international patients in Russia seek an appointment with a dentist. For instance, Chinese tourist groups often find time to visit a dentist’s office in-between guided tours, said Konstantin Onishchenko, the president of Russia’s Association of Medical Tourism (AMT). Overall, medical tourism is on the rise across the board, and the share of foreigners among patients at the country’s hospitals has risen by as much as 24 percent, reported the AMT. “Most of our foreign patients come from neighboring post-Soviet countries, including Kazakhstan, Kyrgyzstan, Ukraine, and Belarus; but there are also those from farther abroad — Italy, Ireland, France, Serbia, China, the United States, Australia, and Canada,” said Dr. Elena Kalinina, head of the ART-EKO reproductive health clinic. She added that foreigners primarily come to Russia to seek donor eggs and surrogacy arrangements. Experts say Russia’s flexible laws contribute to the growth of fertility tourism. “In Italy, for instance, egg donation and surrogacy have always encountered resistance from the Catholic Church. About two years or so ago, egg donation was legalized there, but the sector is developing at a slow pace,” said Alexander Obydennov, head doctor at the Karmenta clinic in Moscow. The U.K. prohibits any kind of financial compensation for egg donors, while Israel enforces a strict age limit for in vitro fertilization (IVF) treatment, which is why many people consider travelling to Russia. “In total, the egg donation program that our clinic offers — which includes the IVF procedure — will cost 2,500 to 5,500 euros; and prices are the same for Russian citizens and foreigners,” said Alexander Obydennov. Experts say Spain is becoming a leader in surrogacy provision. Egg donation is permitted there, and healthcare is of high quality. Furthermore, the cost of IVF programs offered by Spanish clinics is not significantly higher than in Russia. In Russia, a surrogate mother is expected to receive compensation of 16,500 to 20,000 euros, which is the same as Spain. Surrogacy is 20 percent to 30 percent cheaper in Thailand, but the quality of healthcare there is lower, experts warn. The cheaper “suppliers” of egg donors in Europe include Ukraine, Bulgaria, Montenegro, and Macedonia. Nevertheless, despite such competition, Russian experts are unanimous that the country has huge potential to develop IVF programs, including those for foreigners. “According to ESHRE (European Society of Human Reproduction and Embryology), Russia is one of the top seven most effective countries in assisted reproductive technology,” said Elena Kalinina. Oncology is in demand as well, and foreigners often come to see specific, internationally famous doctors. “Recently, an Iranian patient with kidney cancer came here for experimental treatment. Russia has become one of the countries that is able to test targeted therapy programs for cancer treatment free of charge,” said Onishchenko. The demand for vascular surgery is increasing, too. Most patients seek vein stripping to treat varicose veins in legs. “We’re able to complete the procedure within an hour, with no anesthesia or cuts needed; and the patient can go back home in five or six days,” said Anton Solomakhin, head of Moscow’s Innovative Phlebology Center, adding that the average phlebology surgery in Russia is about 1,000 euros or dollars. In Europe, it can be as high as 4,000 or 5,000 euros, while in the U.S. it is $4,500. Experts believe that in order to promote medical tourism to Russia a number of issues must be resolved first. One is the necessity to introduce medical visas. Specialists at Russia’s Association of Medical Tourism say that a medical visa should be valid for four to six months and be multi-entry.